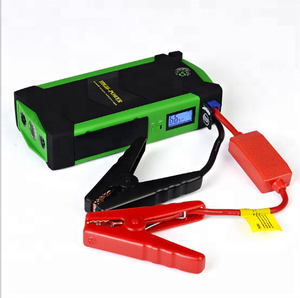 1.Guarantee replacement within 60days 2.One year warranty 3.Repair for all time 12V/24V emergency tool power back up powerful car jump starter for big truck and small car 12V/24V jump starter Specifications Model jump starter 001 Capacity: 24000mAH Start range 12V/24V all cars Weight: 650g Output: 5V/2.1A USB (TWO USB) Input: AC 100-240V, DC 25.5V/1A Peak current: 800A Operting temperature: -20-80&#8451; Cycel Lifetime &ge; 2000 times Our factory: Contact information Sirena He Mobile: +86 185 2944 8694 Have been verified onsite by world-leading inspection company, SGS Group! Best customer care and best products quality are the principles we pursuit in Houde. We have four completed advanced fully Automatic production lines imported from Germany. Wish a sample order can open business between us and build up trust to each other. 2). We have PCB and housing design team,with our own Mould factory to keep good quality and mould privacy. 4. after sending, we will track the products for you once every two days, until you get the products. Q:What is the most security capacity when i starting the car9 A:Make sure that the number of indicator light is no less than 30%. 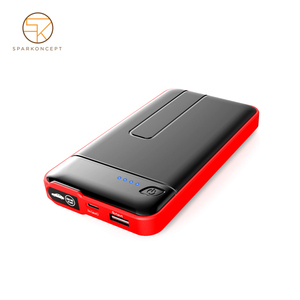 CAR MEMBER 8000 mah 12v mini portable jump starter, multi function car jump starter, battery jump starter power booster jump "60 days"guarantee for replacement. One year warranty. Lifetime repair service. 3. 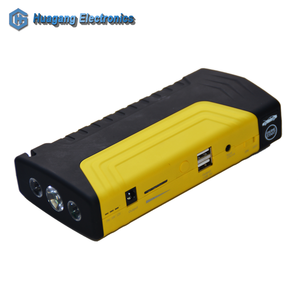 The cold weather on winter will cuase the low-voltage of the car battery, then need our car jump starter to start the cars. It can support an emergency jump start and entirely replace the included battery for a car start up. 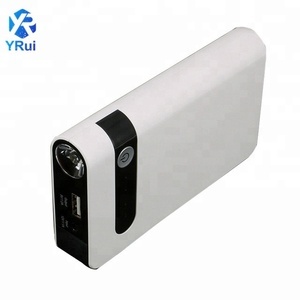 It also supports general cellular phones/laptop charging and completely replaces products similar to mobile power banks. When recerse-polarity connection, the red led light will on to indicate that you should reconnect. Q4. How long can this device to be operateional9 A: About 3-5 years under normal condition use. Q5. When fully charged, how long is the standby time9 A: About 6 monthes in normal mode. 6.Don&rsquo;t expose the product to fire, sunshine or other heat sources. 5. Do your products come with warranty9 A: Yes, we provide 1 year warranty for all products. 6. Do you provide sample of this product9 A: Yes, we can provide free sample, we shall return you sample fee after you place order. Q:About the delivery time9 Our delivery time is 15days for 10K solar car battery charger as the schedule of factory. If we have the products in stock, the delivery time will be soon about 3days. Of course, the accidental event exist, in general, the defective percentage of our product is about 0.3%. We have PCB and housing design team,with our own Mould factory to keep good quality and mould privacy. With 15 years of professional experience,our markets include US, Europe, Southeast Asia, South Korea, Japan and other areas. Depended on reliable quality, punctual delivery and competitive price, our brand is very popular in the international markets.